The major players in defining and enabling sustainable growth are governments, NGOs, multinational corporations, individuals, activists, and local businesses. Jill Ferguson, who has a master’s degree in Human Rights and Development (Sub-focus: Environmental Issues), having worked as an activist with NGOs and local governments, says that the fastest sustainable development and growth can take place through local business. It is, however, money and the powerful multinational corporations, with negative or positive implications, that control politics and policy change even at the international level. Therefore, the manner in which a local business is developed or changed is important because of its influence on a sustainable future for all of us. Nobel Prize (2006) winning social entrepreneur Mohammad Yunus’ Grameen Bank in Bangladesh transformed the definition of business where profit was no longer the main aim of a venture. The Grameen Bank offers microcredit or small loans to economically disadvantaged people without the need of collateral. He helped bring about the realisation that business could be utilised positively to impact people individually and society as a whole. One of the objectives of social business or entrepreneurship is to combat issues such as poverty, lack of education, environmental problems or any other concern that affects the human community where that business functions. Economic sustainability is imperative, even if the focus is not monetary gain, because the business needs enough funds to continue its operations and contribution to the social problem it has decided to tackle. The working environment has to be safe and conducive to the well-being of the employees, including the provision of fair wages. ‘The way in which you are forced to work and the conditions of your job are a human rights issue as well. People should be given opportunities with dignity and should be paid well for the work that they are doing because it is a service to all of us,’ says Jill. A green business, or sustainable business, is one that strives to reduce any negative impact on the environment, locally or universally; the community around which it operates; and the economy, while maintaining a profit. This is because the business, be it service based like tourism, housing, etc, or product based like clothes, phones, etc, has an effect on the planet and the people in the locality. The way services are provided and products are made creates a carbon footprint. The carbon footprint creation and impact is also related to the people from whom you source the products, the people who work for you or your partner companies. Hence all business decisions have to be monitored by the principles of sustainability. Environmentally friendly products and services must replace those that work against the environment. For example, a fashion designer could replace traditional synthetic fabric with 100 percent organic, fair trade cotton and all natural dyes. The synthetic fibres and artificial dyes are a source of water pollution not often focused upon. Not only must the business be greener than traditional businesses, it must remain committed to running its business operations based on environmental principles. Citing her own business Vaayu, a water sports school which includes a guest house, Jill says, ‘…deciding how often to wash sheets, what sort of laundry detergent to use…these are the many different questions you have to ask yourself when you are looking at how your business operates to truly become as environmentally conscious as possible. You are not going to be able to solve all of those problems overnight.’ Being able to cover most of the issues will come with learning from experience. The triple bottom line in conscious, green or sustainable business, is people, planet, and profit. People would include customers, employees, and partner companies. They have to be treated with respect for whatever they are contributing towards your business. Everything one does to survive, affects the planet. So the manner in which you run your company must lean towards conscious consumption, thus protecting the planet and allowing it to regenerate. For the business to survive, of course, it needs funds. The advantage that green businesses have over NGOs is that NGOs are not allowed to earn more than a particular amount by the tax structure. Money that does come in has to be used for specific works. One such company that lives up to the green business principles is Patagonia (clothing, sportswear and sports gear) in California, USA, set up by Yvon Chouinard. Aside from having environmental practices in place, the company has been donating 1 percent of its profits to conserve and restore the environment. The founder of Patagonia and Craig Matthews, the owner of Blue Ribbon Flies, decided to establish a non-profit corporation called 1% for the Planet in 2002, bringing together other businesses that wish to do the same. This is one way of giving back to the planet because every company contributes to the generation of some amount of industrial waste no matter how environmentally conscious. Conscious culture, in other words conscious customers, have a significant role to play too. 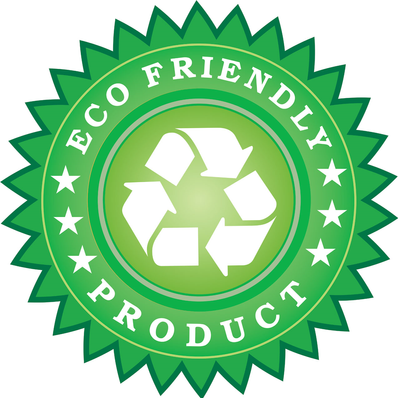 As educated and environmentally aware customers we have a responsibility to support companies that have environmentally friendly practices in place. This will pressurise other traditional companies to adopt the same practices. To create a capitalist economy that is still conscious, the focus needs to be on conscious leadership, purpose, stakeholders and culture. Being a conscious leader takes considerable effort because however much you may want to see a change, standard business policies do not necessarily incorporate an environmentally friendly stance. 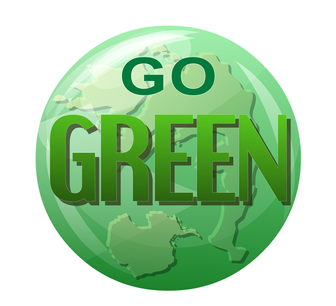 Starting out with a green business can be expensive but with the improvement in technology costs are reducing. The competition with the traditionally run businesses, which are greater in number, can be challenging. A higher purpose must be pursued as the mission of the business, while honouring the stakeholders, that is, the planet, the employees and the customers. Buildings where company operations are carried out should have a LEED (Leadership in Energy and Environmental Design) certification to reflect the eco-friendly resolve of the company. An example of a sustainable business, Vaayu Waterman’s Village in Ashvem is an amalgamation of water sports school, restaurant, guesthouse, surf shop, artists’ residency and gallery space, which works towards evolving a community that is aware of the environment, and encouraging members to act as custodians of their planet through workshops, bi-monthly beach clean-ups and sponsoring trash cans in the locale. Vaayu also uses stainless steel straws, which are sterilised for reuse, instead of polluting plastic ones and does not sell plastic bottles of water. ‘You can’t force people to change. People have to come to the decision to evolve and change on their own. But you can inspire change by leading by example and giving them an immersive experience…,’ says Jill. *This article is based on a talk given by Jill Ferguson at Shape Connect Goa, an event organised by the Global Shapers Panjim Hub.